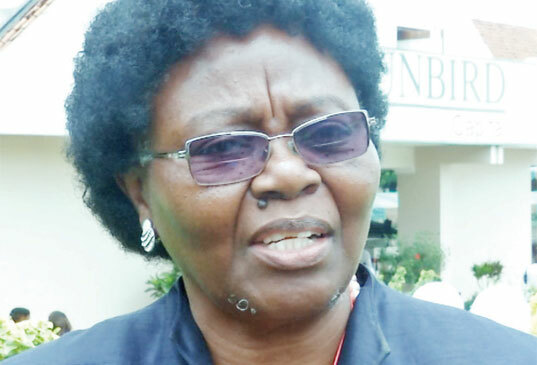 Justice Esmie Chombo, Judge President for Lilongwe Registry, has had her tenure of office extended by 18 months, as she was slated to retire last year. The extension, which the Judicial Service Commission recommended, was granted specifically to allow her conclude the K2.4 billion Cashgate case involving former budget director Paul Mphwiyo. High Court Registrar, Agnes Patemba, on Friday confirmed the extension of Chombo’s tenure of office but could not shade more light. Reacting to the extension, Malawi Law Society (MLS) said the government is justified as the courts have had perpetual shortage of judicial officers. MLS Honorary Secretary, Martha Etta Kaukonde, also noted that transferring the case to another judge could be costly and can compromise the case. “Some cases are complex and extremely crucial. The Judiciary may have been right to allow the said judge to continue handling the case to the end. Passing on the case to another judge would have meant starting the process all over again, resulting in compromising the case in so many aspects such as loss of evidence and witnesses along the way. It could also, generally, be costly on the parties and the court in terms of money and time,” she said. Chombo was in the limelight last year when she blew a whistle on corrupt lawyers, resulting in the Judiciary transferring over 40 officers— including magistrates, court clerks and accountants—to different registries. The K2.4 billion money laundering case involves Mphwiyo, former accountant general David Kandoje and some public officers and contractors. The State is still parading witnesses in the case as over 18 others testified in court. Chapter Six of the Constitution of the Republic of Malawi stipulates that the retirement age for a judge is 65.